The veil is an iconic accessory that adds a finishing touch to the bridal look and nothing beats the classic appearance of a bride wearing a veil when walking down the aisle. 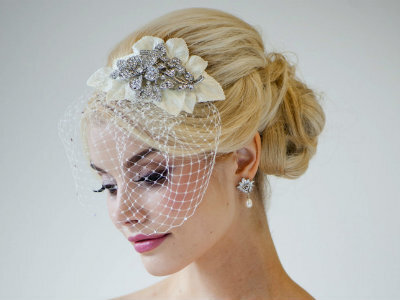 However, while veils come in a variety of styles and shapes, how well do you know them all? 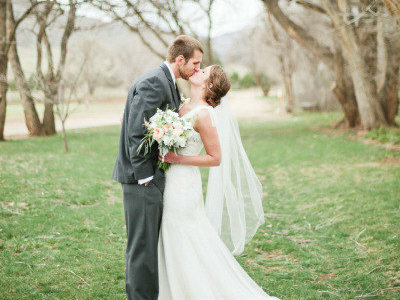 Check out our glossary of wedding veil types to find out more. Having the shortest lengths of all veils, birdcage veils are typically a hybrid of a hat and veil that drapes off the side of the head, allowing the lower half of the face to be free. Vintage and alluring, they have gained a huge popularity in recent years. Blushers are shoulder-length veils that cover your face and usually worn before the ceremony then they will be flipped over or removed afterwards. If you like the eagerness to wait for your groom to lift the veil or simply love the mystery of hiding your face under a thin layer of gauze, blusher is perfect for you. Absolutely classic and fairytale, cathedral veils are the most formal. They flow all the way down to the ground with a long train extended. 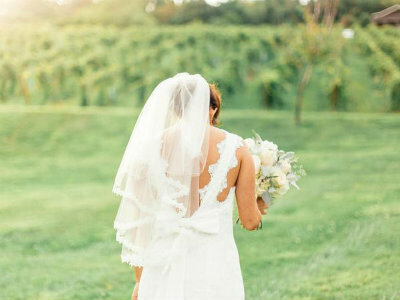 This style of veil looks picturesque in every photo and makes a dramatic entrance as well; however, it’s truly a pain to manage. Sometimes called the sweep veil, chapel extends to the ground but has no train. Incredibly romantic and graceful, it’s often worn in combination with a blusher or an elbow-length veil to create tiered loveliness. 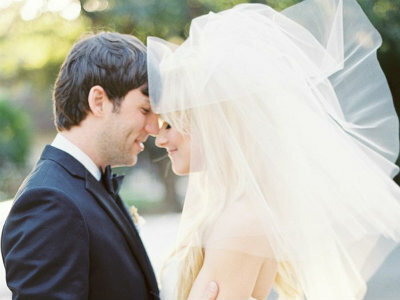 This style of veil, as the name implies, ends near your elbow or waist area. Elegant and easy to handle, elbow-length veils match any wedding dress and be super-flattering especially when you’re wearing a full dress or a ballgown. As you guess it, this type of veil extends to your fingertips. There’s no doubt these veils are the most popular choice for brides-to-be as they complement most brides and wedding dresses. Classy and elegant, fingertip is a safe option but also an appealing one. This veil finishes somewhere between your shoulder and the middle of your back. Considered less formal and not commonly found, shoulder-length veil is perfect if your wedding gown is heavily embellished in the back and you’d like to show off these details. Pouf veils are made of multi-layered tulle that is fastened by a headpiece or a comb to create height. 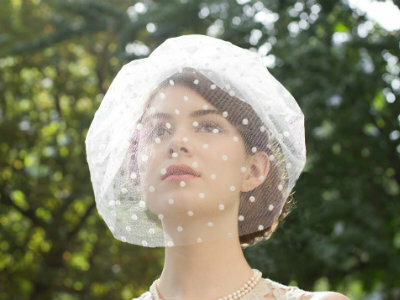 Bold and beautiful, this type of veil brings back the beauty of 60s; nevertheless, it’s certainly not for every bride. Falls on the knees or slightly longer to the ankles, waltz is one rare long veil that offers hassle-free movements and allows you to dance without tripping.